Presenting an overview of transnationalism and the surrounding debates, this interdisciplinary volume will be of interest to students and scholars of Politics, International Relations, Sociology, Anthropology, Educational Sciences, Migration and Geography. Transnational societal spaces: which units of analysis, reference, and measurement? 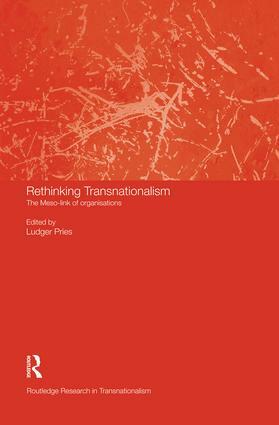 European Works Councils as transnational interest organisations?